One of Rogue One: A Star Wars Story’s greatest achievements—aside from pulling off one of the best stories in recent cinematic history where literally all of the heroes die—was using state-of-the-art visual effects to bring the late Peter Cushing back to play Grand Moff Tarkin. While there were definitely moments where Rogue One’s Tarkin stood out for being that kind of perfectly imperfect that makes it easy to spot CGI on screen, the technical feat of recreating Cushing’s likeness and animating it to interact with living actors was impressive in and of itself. 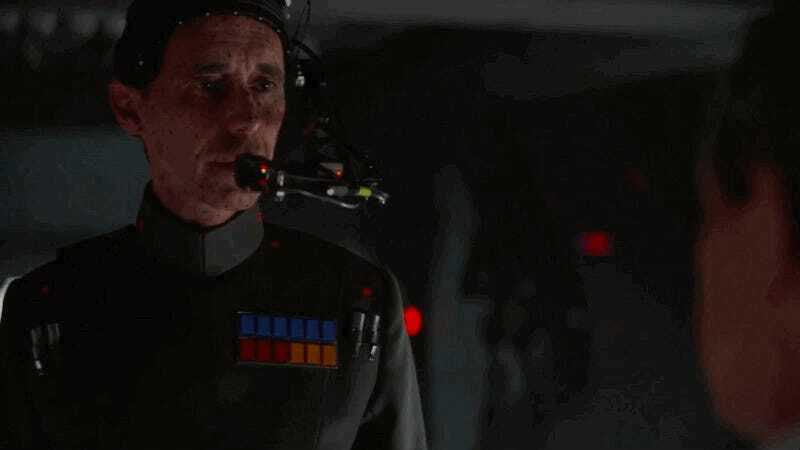 In a new VFX reel from Industrial Light & Magic, we see what went into getting Tarkin back on the screen—namely actor Guy Henry wearing an elaborate head-mounted rig and special suit designed to lend his physical performance to the effects wizards, who’d later map Cushing’s face onto his. While there’s definitely still room for this kind of technology to grow and improve, it’s a fascinating glimpse into the future of filmmaking, where characters who outlive the actors who originated them can and probably will go on to live much, much longer lives on the silver screen.